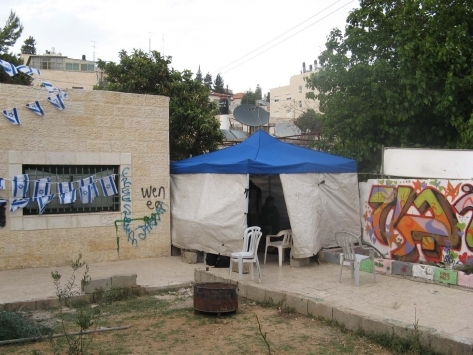 Israeli settlers, who forcefully occupied part of the house of Rifka al-Kurd in the Sheikh Jarrah neighbourhood of East Jerusalem, burned the protest tent setup in the backyard of the house.Mrs. al-Kurd reported that her son noticed noise near the house after midnight and confirmed that the settlers set the tent on fire. Neighboring youth managed to put the fire out, but all the contents of the tent where charred. Settlers have stepped up retaliatory attacks after the government removed three settler structures from the unauthorised outpost of Migron, near Ramallah, last week.